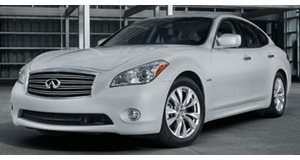 Nissan North America, Inc. (Nissan) is recalling certain model year 2012-2013 Infiniti M35 Hybrid vehicles manufactured March 23, 2010, to September 9, 2013. A system overheat condition may cause the hybrid powertrain control module to shut off the engine. If the engine shuts off while driving, there is an increased risk of a crash. Nissan will notify owners, and dealers will reprogram the hybrid control module, automatic transmission control unit, and inverter software, free of charge. The recall began on August 15, 2016. Owners may contact Nissan customer service at 1-800-647-7261.